It took two years of planning, but it was all worth it as this four day celebration will seriously knock your socks off. There's so much love, laughter, dancing (so much dancing!) and pops of color that you'll have a hard time looking away. From Narita's rich red wedding gown to her deep blue reception dress, the whole thing is beautiful. Add guests who know how to balance tradition with having a good time, and you have a wedding day that's worth revisiting over and over. 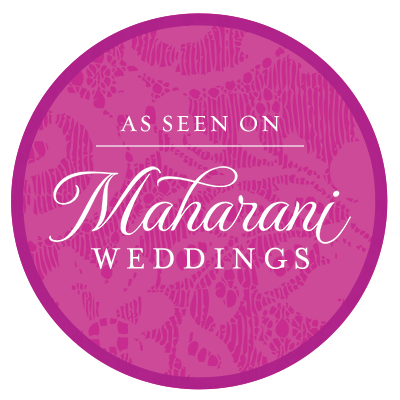 Narita + Avneet's highlight film was just featured on Maharani Weddings, so you know it's good! If you're new to Sikh Indian weddings (like we were), here's simple breakdown of what you'll see: The first two days of the celebration start at the bride and groom's homes, and are followed by an night of all-out dancing. Day 3 is the traditional wedding ceremony in the temple, followed by two smaller ceremonies at both the bride and groom's homes. Finally, the last day is an extravagant reception filled with speeches, a live performance by Violinder, a famous violinist, and dancing until everyone's feet fell off! What a truly beautiful couple and wedding celebration! Enjoy!